HUGE news from Snapchat as they have announced the availability for anyone and everyone to create their own personalized GeoFilters for the platform. 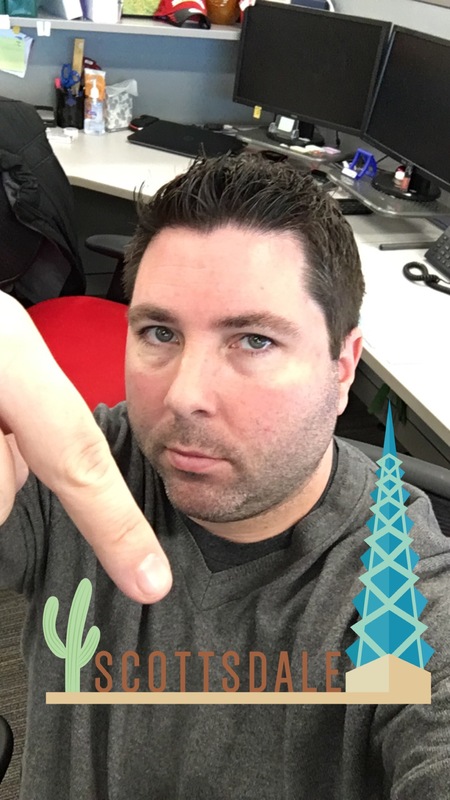 Most likely this GeoFilter was created by the city/town, Chamber of Commerce, etc. and was approved by Snapchat a while back since this one has existed for a while. Previous to this announcement you could still submit a creation to Snapchat but it was much more difficult to get it approved and implemented on the app. WHY THIS MATTERS: You mean aside from the fact that there are currently over 7 BILLION video views DAILY on the app, which is being used by over 100 MILLION users DAILY? Branding a business, an event, or really anything you can think of is now available to all on one of the top social media platforms around. Keep in mind that snaps, whether they’re pictures or videos, are NOT limited to even just being seen on Snapchat. With the ability in-app to save what you snap, this means users can re-share out to virtually any other social media platform, website, blog, email, text, etc. The branding and awareness opportunities are limitless. COST: Starts at 5$ but according to Snapchat it will depend on the size of the geofence (the coverage area) that you want to have it made available for, and on the length of time you want it to be up for as well. You won’t know the actual price until you create the GeoFilter and are about to submit it, but so far I’m seeing amounts of $20-$50 for ones made covering about a neighborhood block (58K sq ft) lasting for roughly 24hrs. To create YOUR GeoFilter(s), visit their creation site here. For additional questions or issues, visit their GeoFilter Support Site here.